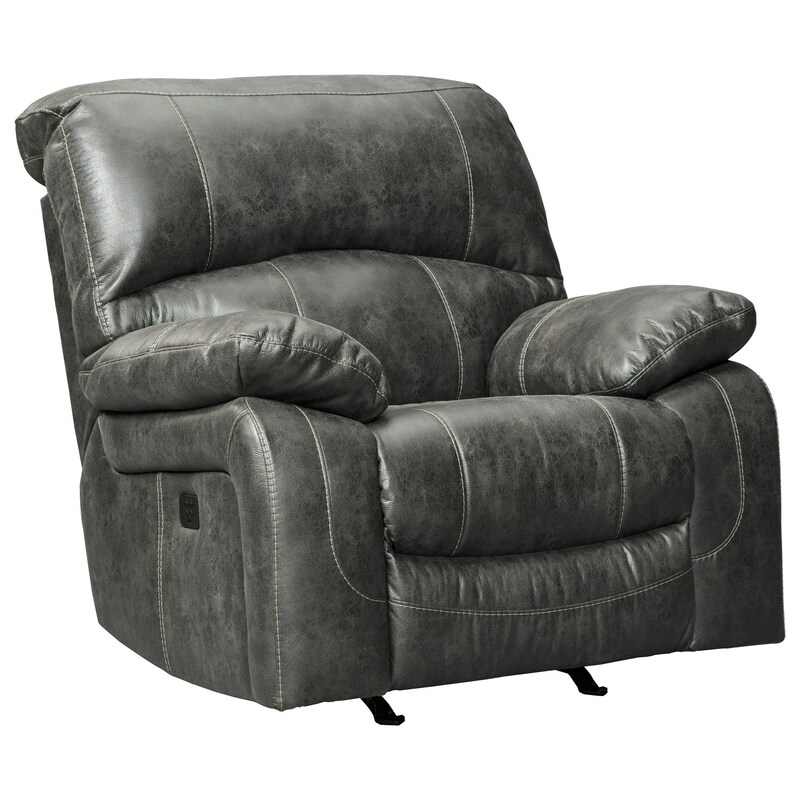 Comfort and contemporary styling make this power rocker recliner in faux leather with an adjustable headrest a perfect addition to your entertaining space. The Dunwell Faux Leather Power Rocker Recliner w/ Adjustable Headrest by Signature Design by Ashley at Miskelly Furniture in the Jackson, Pearl, Madison, Ridgeland, Flowood Mississippi area. Product availability may vary. Contact us for the most current availability on this product.